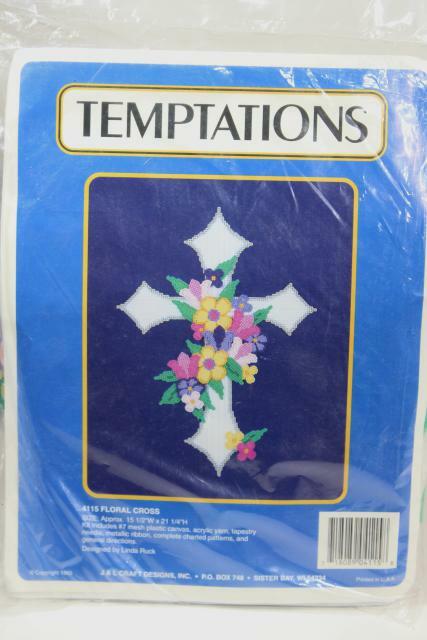 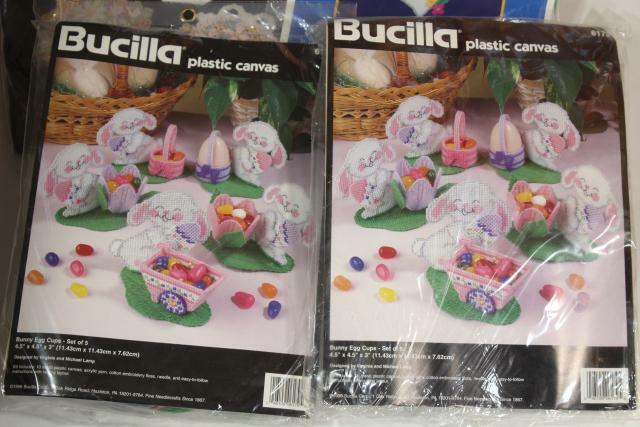 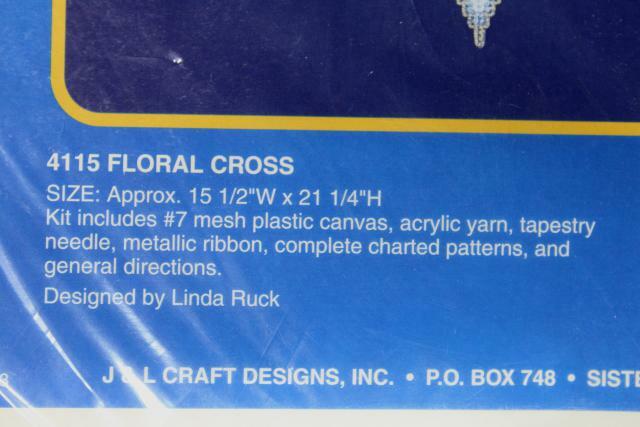 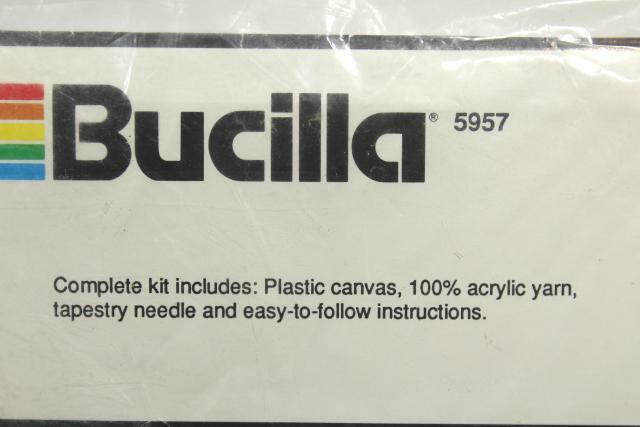 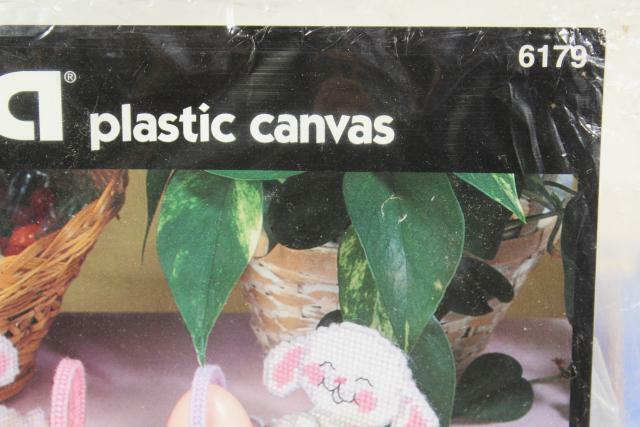 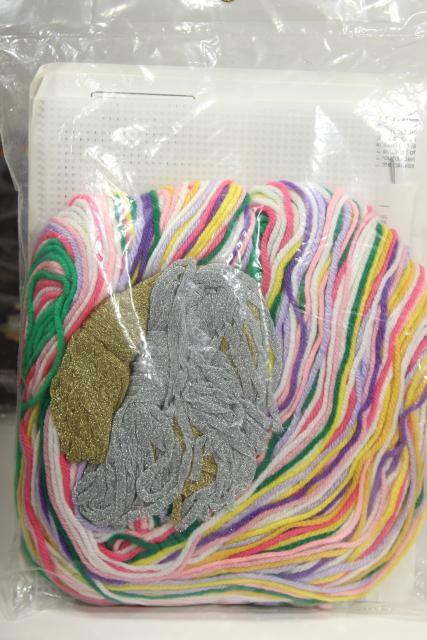 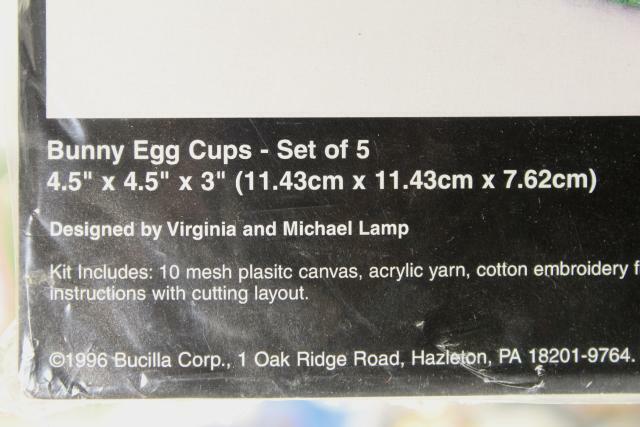 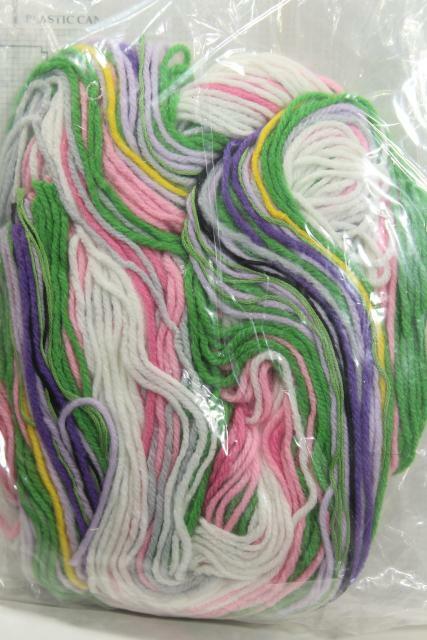 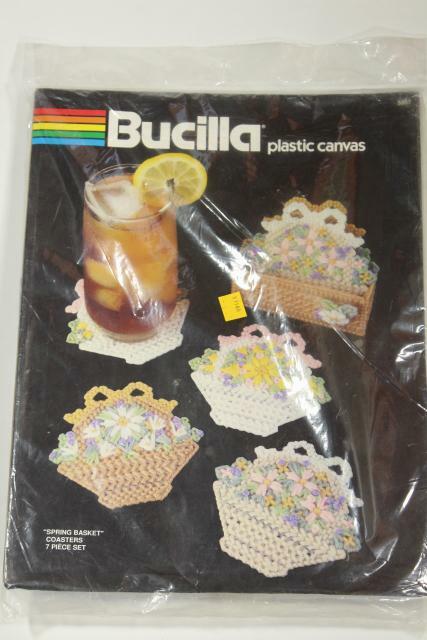 90s vintage plastic canvas kits, all for spring and Easter. 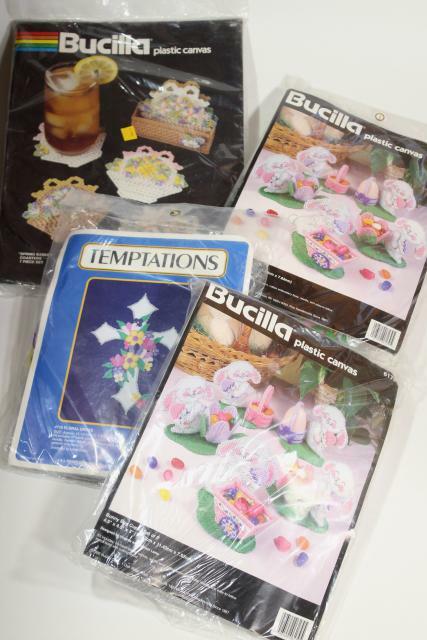 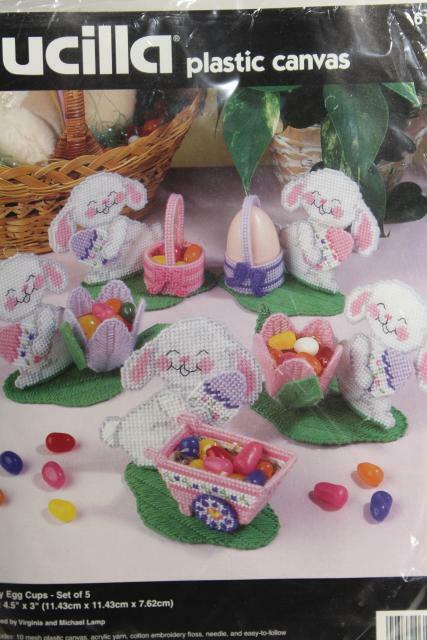 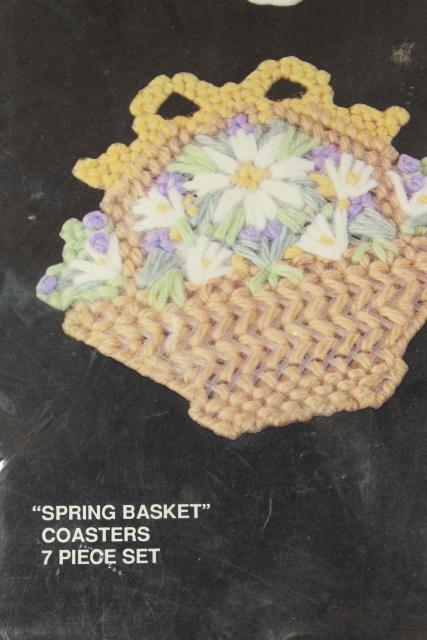 There's four kits in this lot - a flowered cross, flower basket coasters set, two kits of the bunny rabbit egg cups. 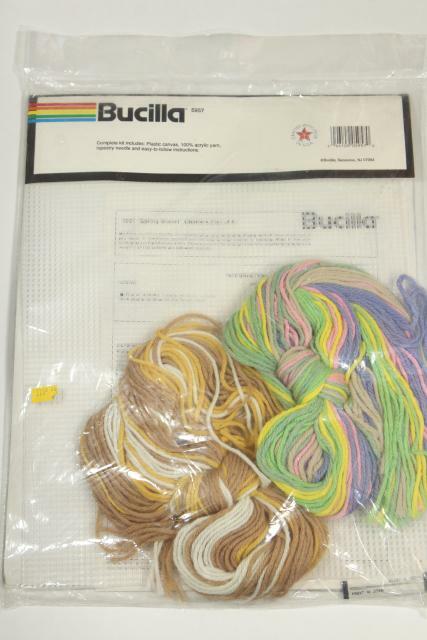 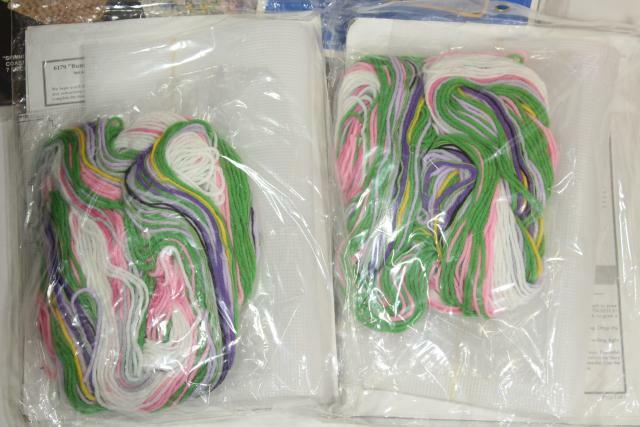 All are still sealed.